Details: Each 2019 Golf 4 Pack round is valid for one foursome or (4) individual 18-hole rounds, cart with GPS, practice facility use and lunch at BAR19. Lunch includes one lunch menu item and iced tea or fountain beverage. Price includes applicable taxes but does not include food service gratuity. Foodservice may be limited or closed during inclement or cold weather typically from November through mid-March. Regardless of which Golf 4 Pack(s) you purchase (weekday or weekend) they are redeemable any day. Monday through Friday excluding Holidays the Golf 4 Pack rounds are redeemable at the rate of $65.25. Saturday, Sunday or Holidays the Golf 4 Pack rounds are redeemable at the rate of $87.75. Golf 4 Pack rounds are good through November 15, 2019 excluding days the golf course is closed for maintenance, outings, events or as the result of inclement weather. 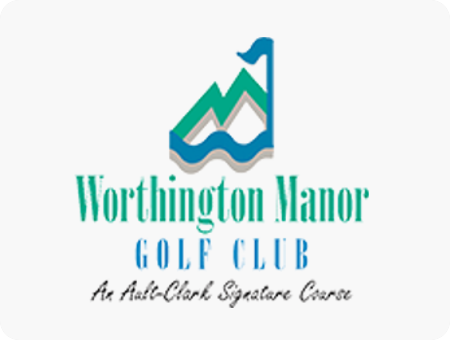 If all rounds have not been redeemed by November 15, 2019 the dollar amount balance will be transferred to “club credit or e-gift card” redeemable for regular rate golf only rounds. 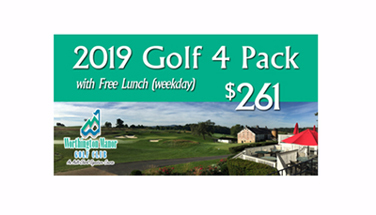 Golf 4 Packs are available for purchase through our online store or golf shop and are not valid with groups larger than 8, outings, other offers, promotions or discounts.